Gain Instant Access to Over 60 Certifications, Courses & Workshops Designed to Help You Build a Profitable and Rewarding Freelance Business! 2019 Registration will officially close at Midnight PST on Friday, January 18, 2019! Joining Freelance University has been one of the BEST investments I’ve made since starting as a virtual assistant in 2010. The courses are robust and easy to follow with a variety of options from those just starting out, to freelancers (like me) wanting to enhance skills and specialties and learn new ways to help my clients. The support in the Facebook group is tremendous, from the mentors and other students to Craig and Kelly often jumping in to share their expertise. The value of the University is second to none. Without hesitation, I would recommend Freelance University to all virtual professionals. Freelance University is one of the very few experiences I have found that offers a 360 degree support network to ensure your freelance success. Within the first three weeks of joining the University and applying what I learned, I had landed my first client… it just works! Thanks for stopping by! In 2008, we first launched Freelance University (Formerly, VAClassroom) and fondly remember those initial seven students that said YES to our first program. It was a very humble beginning and at the time, we honestly never thought that we would go from that very first class to delivering over 100 courses to 10,000 students in 60+ countries around the world. Freelance University has now become the premier online learning platform for existing and aspiring freelancers, virtual assistants and online professionals seeking to build a rewarding and thriving business online! DISCOVER the most ideal service niche or specialization that will fuel your passion and create the best income opportunities for you and your family moving forward. GROW your business to new levels every year as you fine-tune your skills, expand your services and create the kind of flexible and profitable freelance business you’ve always dreamed of. We created FreeU to be your “one-stop” professional development platform to help you stay ahead of the curve, keep your skills sharp and deepen your client and income opportunities. Have a further read below to see all that is included in our state-of-the-art Online University and please don’t hesitate to drop us a note if you have any questions along the way. How will FREELANCE UNIVERSITY grow my business? The monthly “Learning Curve” publication delivered to your inbox complete with valuable articles, tips and tools to keep your skills sharp! Freelance University offers three intakes in September, January and May and features three semesters of powerful NEW certifications, courses and workshops. Based on ongoing surveys and input from our advisory board, new programs & courses are created each semester to help you develop the most in-demand skills and services for your virtual business. Each semester features 1 new certification, 1 core course and 4 interactive workshops. That equates to 18 NEW and relevant courses per year! Access comprehensive and easy-to-learn Certification Programs across seven core tracks: Social Media, Internet Marketing, Digital Media & Events, Content Creation & Management, Business Management, Technology and Graphic Design. Freelance University includes a database of certification courses featuring short, practical videos, quizzes, resources & checklists. We have partnered with the 3rd party accreditation company, Accredible.com, to deliver our professional digital certifications that easily integrate with your LinkedIn profile as well as your website and other Social Media channels. Access a large library of powerful, skill-building courses, each designed to help you improve and expand the skills and services you offer your clients! Pick and choose the right type of skill-based courses to meet your current and evolving needs. There is literally a course for every possible niche, with more being added each month. Join us every month for a new, LIVE, interactive 90-minute workshop on freelance and business topics that matter to you! Through ongoing surveys and feedback from students and clients, our team is fully dialed into the skill needs that are most pertinent to your growth and success. At some point, all of you as freelancers and online professionals need to get your “geek on” and learn new technology that is vital to your business and your clients. Our “Tech Corner” offers practical, step-by-step tutorials on software and apps most relevant to your business including social media management tools, project management tools, marketing landing page tools, ecommerce tools, productivity tools and so much more. We also have recently launched our NEW “App Lab” which provides a series of short courses on popular business apps. The Resource Centre simplifies your life with practical guides and checklists across a variety of areas to help improve the delivery of your services and the operation of your business. Watch or listen to a whole variety of interviews with successful professionals and other experts on key topics important to you. One of the BEST ways to grow as a Freelancer is to simply watch and learn how others have been able to build profitable businesses. The monthly Virtual Office Hours is a great place to connect live with other students and get up to speed on pertinent topics in our industry. Access ongoing upgrades to our most popular and in-demand training programs so you can keep your skills sharp and up-to-date. At Freelance University, we will do regular upgrades to our flagship programs such as the “Social Media Manager” Program as the technology evolves so quickly! Access our popular Software Sandbox featuring a variety of premium and paid software that your clients need you to know. This is the perfect place to practice using industry-leading software so you can effectively support your clients! Some of the popular software include Premium WordPress themes and plugins, Canva for Work, Venngage, ConvertKit, Leadpages and many more. Access a thriving community of like-minded Freelance Entrepreneurs to discuss business topics and to share successes as well as tools and resources with one another. The Private Facebook Group is closely moderated by myself along with seven amazing Mentors who have a combined experience of over 40 years in the Freelance industry! You will be in GREAT hands in our community. One of the greatest challenges to launching a new freelance business is simply “GETTING STARTED”! 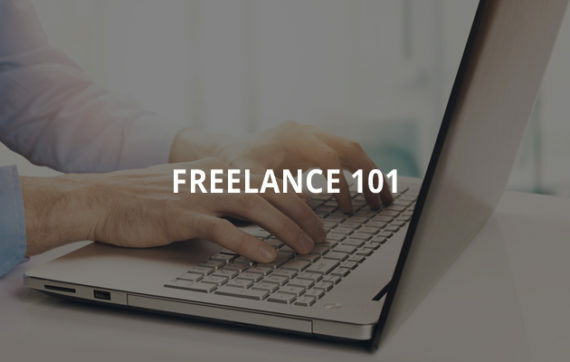 Fortunately, we have completely simplified the process for you by including our Freelance 101 Program in our University. This practical 10-module course is designed to help you start a Freelance business from scratch and lay a foundation to then progress to further skills training within the University. Freelance University offers an easy-to-use, easy-to-track and fully mobile responsive learning platform that enables you to quickly access your training programs and courses when you want and where you want! Take a few minutes and join this Guided Tour of our exciting “new-look” University! One of the keys to building a highly successful freelance business is to find an in-demand niche service that you LOVE to do! At FreeU, we offer an array of specialized training certifications and courses across seven primary tracks. Hover over each of the below seven tracks to discover the specific course listings currently available at our University. (Note: Click the + button in each to download the full course catalog). Check Out the January 2019 Course Catalog Here. Over the past ten years, I have had the great privilege of designing and creating in-demand training certifications and courses for our students all over the world. While I am the lead instructor and “Chief Learning Officer” for our University, we also have a talented group of session instructors who provide specialized training in WordPress, Podcasting, Bookkeeping, Ecommerce, Client-Onboarding and so many other topics. Further to that, we have recruited 7 talented and big-hearted Mentors with a combined 40 years of Freelancing Experience! Each of the mentors focus on supporting a particular training track in our University. Since starting Freelance University in 2008, we have built a solid reputation for providing high-quality and in-demand training for freelancers and online professionals. As a result, many small business entrepreneurs now regularly contact us seeking talented freelancers for a whole variety of projects. So, as part of your enrollment to Freelance University, you will receive a visually appealing Professional Profile web page and a listing in our popular Freelance Directory! This will be an excellent opportunity for you to get connected with a wave of entrepreneurs in need of your awesome skills and experience! For many years, we created a wide range of specialized freelance training programs that students were able to purchase on an individual or a-la-carte basis. So, if students were seeking Social Media Training, they would purchase one or more of our five core SM programs. It is important to us that you are able to access the right training at the right time in the most cost-effective way possible. So, in keeping with our ongoing commitment to offer the most current and affordable skills training, Freelance University has just gotten a lot more attractive to you (and your training budget). At FreeU, there are over 60 high relevant and in-demand Certifications, Courses and Workshops. As part of your enrollment in our University, you will receive access to EVERYTHING. That’s over $9300 dollars of industry-leading courses included in our powerful university. That’s an additional $1999 in valuable training offered every year to go along with the $9300+ worth of training already available in our University! But not to worry, FreeU will be a whole lot more affordable for you than $11,000+ in training! Keep on reading below. Get Started at Freelance University Today! * Please refer to our 15-Day Cancellation Policy below. I am absolutely confident that your enrollment at Freelance University will be an immensely valuable step forward for you, and will help you build and grow a rewarding and profitable freelance business in 2019! Still, I want to be absolutely sure it is the right fit for you. So take 15 DAYS to check out and evaluate the University. If for any reason you decide our University is not for you, then please contact our team at [email protected] and we will cancel your monthly or annual commitment with us and refund your tuition right away.